Whether you are a fan of sushi or not, you probably knows someone who is crazy about it due to the popularity of Japanese cuisine. 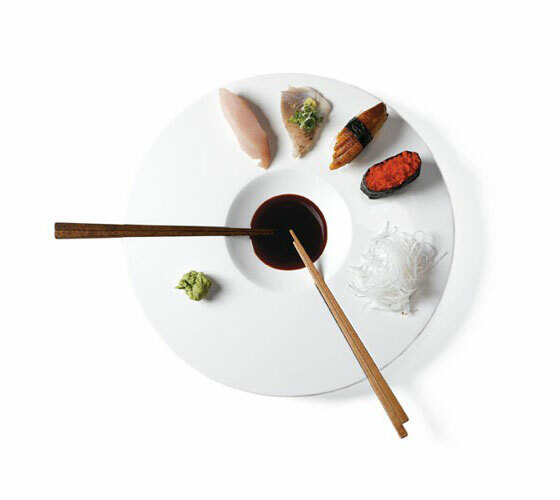 People who loves sushi might not only be satisfied with dining in Japanese restaurant, but also make sushi at home or even want to have some sushi-like things. Here are our top ten gifts any sushi lover will love, from making kit to dining dishes, from non-stick rice knife to cute seaweed puncher. These gifts will offer up some humorous ways for foodies to showcase how much they enjoy sushi rolls. The hardest thing to do as a beginner is to spread the right amount of rice. Too more or too less rice is commonest reason why you fail. 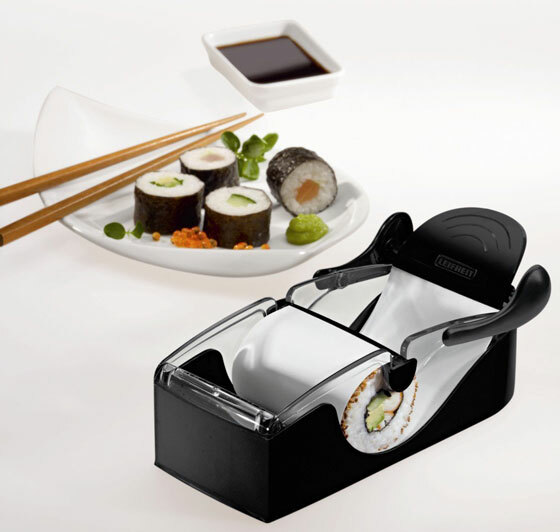 Sushiquik, the awesome sushi training kit is designed to make sure everyone can make a sushi roll the very first time. Sushiquik measures exactly the amount of rice you need to make a perfect role. The non-stick rice paddle provided helps you spread the rice along the training frame, and the roll cutter lets you evenly cut your rolls while saving your fingers. As the hidden bonus, the end caps of rice paddle can be used as soy sauce holders. If you want to set up a lovely sushi meal with your friend or beloved half, this adorable Sushi Service for Two will shine on your table. It includes 2 serving plates, 2 dipping bowls & holders, and 2 sets of chop sticks. 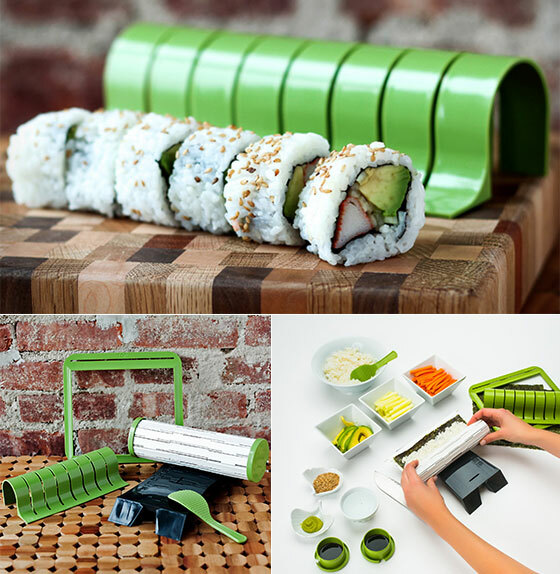 Makes a great hostess gift for your favorite sushi fan. Rice is sticky, especially sushi rice. 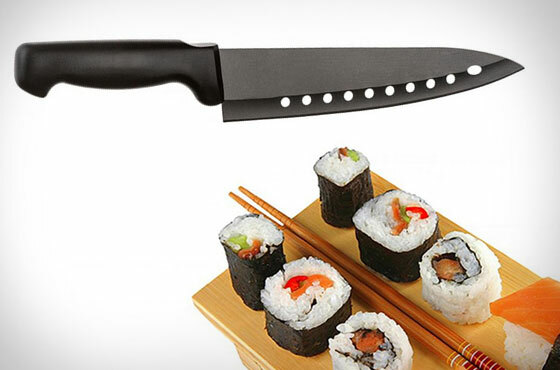 Hence, to make a perfect sushi, non-stick sushi knife is essential. The non-stick coating and integrated holes allows this knife to glide effortlessly through raw fish, vegetables, meats, cheeses and more. The 10 “vents” along the edge of the blade not only reduce sticking, but they also make the knife lighter and more easy to handle. The three-part wooden sushi press, called an oshibako, is a traditional mould for making Kansai-style ‘oshi-zushi’ or ‘pressed sushi’. The box can be taken apart into three parts, a bottom part, the rectangular walls, and a top part. 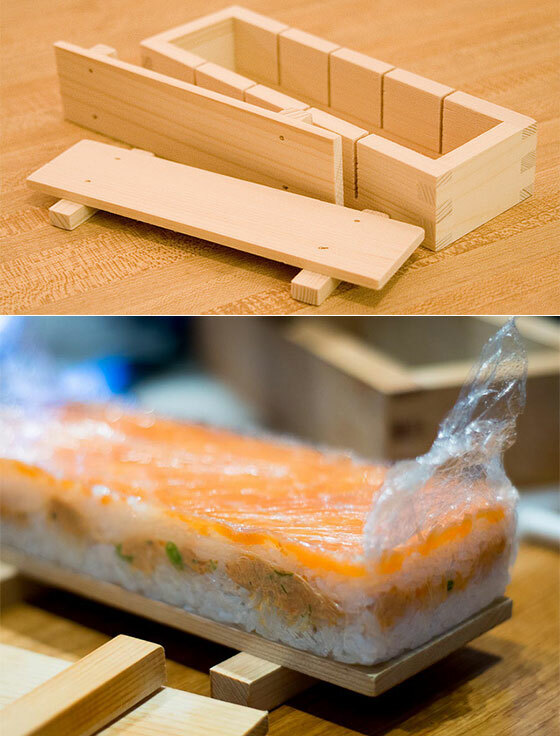 The sushi press or mould should be soaked in water before use to prevent the rice from sticking, or alternatively line with clingfilm. 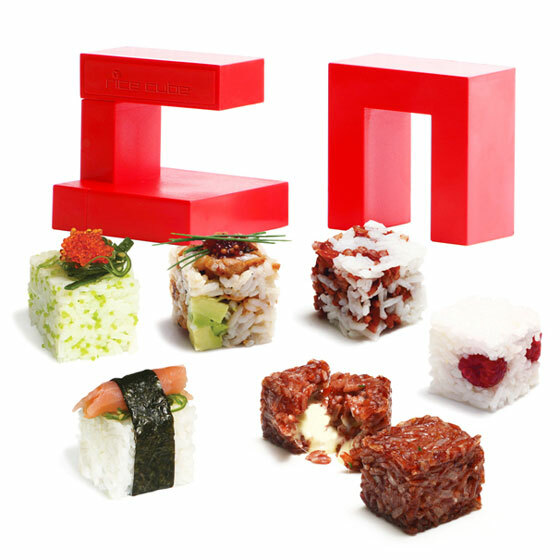 Rice Cube is an easy to use mold that turns Rice and many other food stuffs into very cool bite sized cubes for entrees, platters, mains and desserts. 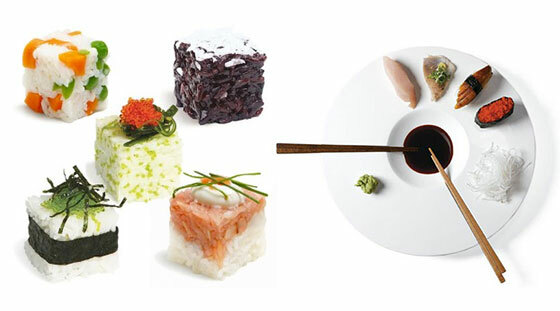 As a modern twist with the versatility, rice cube can make sushi from all rice types, including brown and wild rice, cutting down calories and preparation time. It will also be easy to teach children how to make healthy food in a fun way, great for family activity. Training kit is good, but if you don’t need that many piece and only want an easy way to make perfect roll. “Perfect Sushi Roll” is here for you. 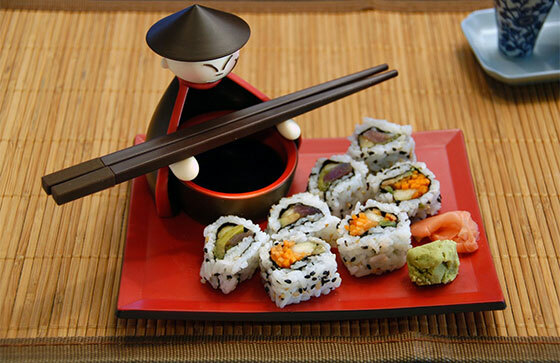 Simply put in the different ingredients, fold down the handle, pull the flap and the perfect Sushi roll is formed. 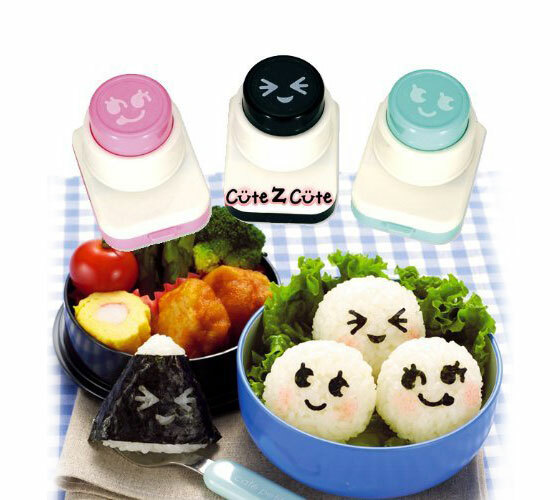 Creating fun faces on Nori, Rice balls have never been so fun and simple to do. Just use it as normal hole puncher, take a piece of seaweed and use Nori Punch to punch out the eyes and mouths that you want to use to decorate your bento lunch. Coming with three adorable cartoon faces in the set, you can mix and match the eyes and mouths to come up with over 25 different face combinations. 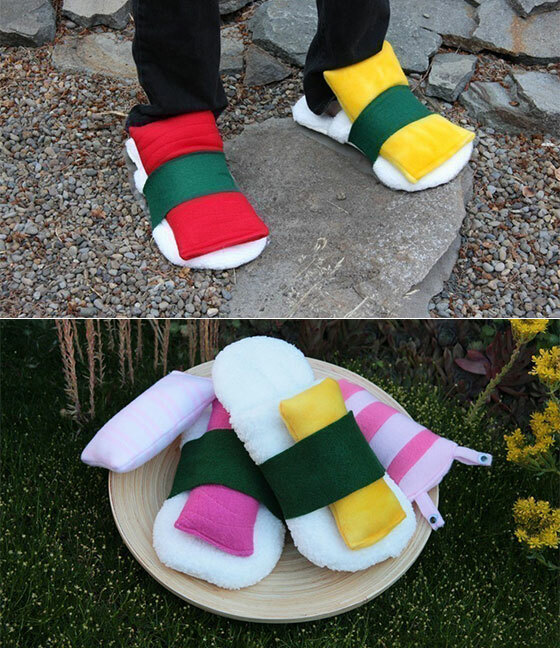 These adorable sushi slippers are made with softest, plushest, fleece. Coming with 4 sushi meats, the slippers have a 2″ cushy batting with a weather resistant grippe sole. Sushi lovers around the world will be lured in by this cakey take on their favorite cuisine. These darling maki-inspired Sushi Cake Pops are crafted using skillfully applied fondant and choice candy pieces. If someone is sushi as well as sweet lover, what can be more appropriate gifts for them than this? Next story Which Window Treatment is Right for You, Roman or Roller Shades?